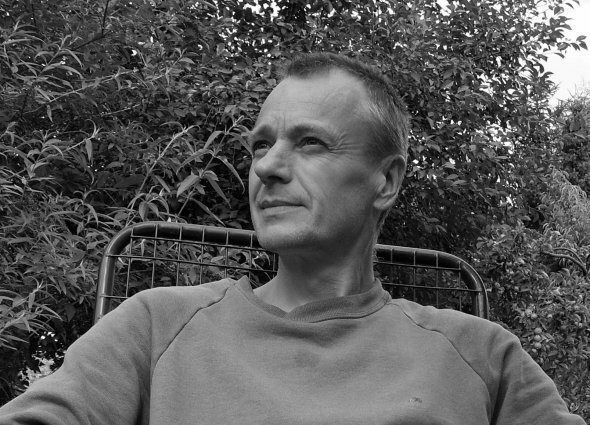 Jürgen Reble (born 1956 in Düsseldorf) is a german experimental filmmaker. In the late 1970s and 80s he was a member of the film ensemble Schmelzdahin. In the early 1980s he began making his own work in film, performance and installation often rooted in manual processing of film footage using mechanic and chemical influences and reconstruction of the cinematographic apparatus. Since 1992 he works together with the sound artist Thomas Köner in the fields of film, installation and performance. His works have exhibited at the Museum of Modern Art, New York; Auditorium of the Louvre, Paris; Filmmuseum Amsterdam; Walker Art Center, Minneapolis. In 1997 he got a scholarship from the Kunstfond in Bonn. In 2009 he made his first HD digital work, Materia Obscura, using footage from his earlier film Instabile Materie (1995). Reble lives and works in Bonn, Germany.